14 All right then, the Lord himself will give you the sign. Look! The virgin will conceive a child! 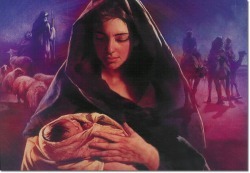 She will give birth to a son and will call him Immanuel (which means ‘God is with us’).